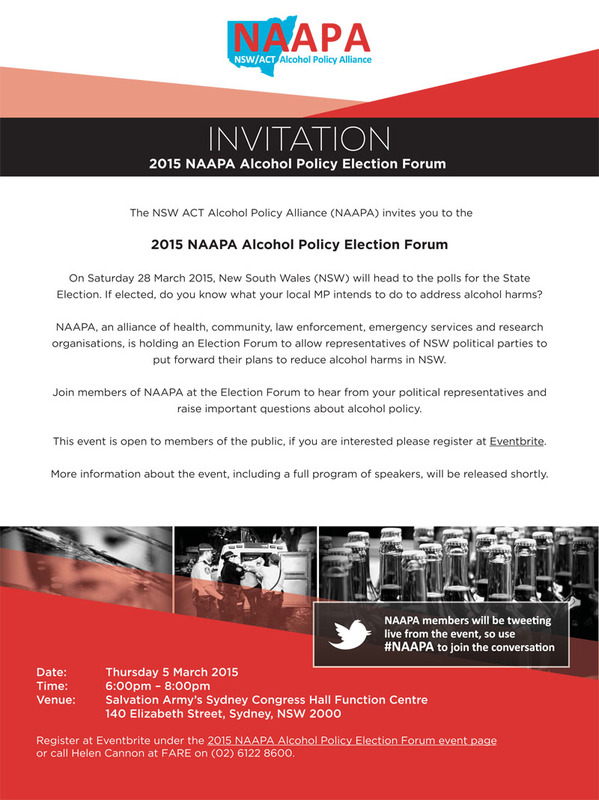 Below is the final version of the 2019 NAAPA Election Scorecard – with the responses from the Liberal/National Coalition, Labor and the Greens – and the corresponding media release embargoed for tomorrow. DRAG (2010) and 2011RA are very concerned with the effects of the excessive consumption of alcohol and the resultant violence and anti-social behaviour on the residential amenity and safety in our area. We support the NSW Government’s laws of February 2014 as a partial solution. The current system is flawed and is not adequately addressing the social impact of liquor licences and community members are not being genuinely consulted. There is a clear need for reform. 4. properly resourcing assessors and regulators. We support the Recommendations from NAAPA of which DRAG is a foundation member. 1. That the NSW Government make liquor licencing processes more transparent and improve public awareness, engagement and community input to these processes. 2. That the NSW Government make the CIS a requirement for all licence applications and notify at a minimum the local consent authority, local police and all occupants of neighbouring premises within the primary trade area. 3. That the NSW Government make the CIS and all supporting documentation, including the social impact assessment, publicly available in real time on the Liquor and Gaming Application Noticeboard. Any submissions made in favour or opposition of a licence application should also be published. 4. That the NSW Government establish an independent Community Defender’s Office (CDO) to support communities in licensing matters. The CDO should consist of an advisory service and central information service, with staff that have appropriate skills and expertise in alcohol related planning and licensing systems, including legal skills and an understanding of community needs and expectations. 5. That the NSW Government ensure that the onus of proof is on applicants, not community objectors. 6. That the NSW Government properly resource ILGA to monitor compliance and independently assess every application. 7. That the NSW Government keep community consultations at the Development Application (DA) process and the liquor licence CIS process separate. Local Council should also be resourced and supported to adequately assess a DA. Kings Cross / Darlinghurst district is one of the densest residential areas in Australia. From 2007 resident groups (DRAG and 2011RA) have spoken out about the negative and degrading impact of alcohol de-regulation. Last Drinks Reforms: From 24 February 2014 there has been a freeze on new liquor licences and approvals for existing licences across the Sydney CBD Entertainment Precinct and continuation of the existing freeze in the Kings Cross Precinct; plus a ban on takeaway alcohol sales after 10pm across NSW. NSW measures are a success for safety and a victory for residents. DRAG and 2011RA are very concerned with the effects of the excessive consumption of alcohol and the resultant violence and anti-social behaviour on the residential amenity and safety in our areas of Kings Cross and Darlinghurst. It supports the NSW Government’s laws of February 2014 as a partial solution. The Bureau of Statistics (BOSCAR) found that the reforms were associated with an immediate and substantial reduction in assault in Kings Cross (down 32%) and a less immediate but substantial and perhaps ongoing reduction in assault in the Sydney CBD (down 40%). Most areas adjacent to the Kings Cross or Sydney CBD entertainment precincts or within easy reach of these precincts showed no increase in assault. The number of assaults around The Star casino increased but the change was not statistically significant. Public Health benefits: St Vincents Hospital Emergency Department, which services KX and the CBD, has analysed figures for facial / jaw fracture associated with alcohol related violence. These analysis shows that over 2 years pre-lockouts 145 patients; 2 years after lock-outs there were only 58 patients and no deaths. (Dr Anthony Grabs, SBS TV “The Loop”.) We need more analysis of the Impact of hours of take away sales to 10pm across NSW. Associate Professor Peter Miller demonstrated that early pub closing times work for Kings Cross and Central Sydney and they will for Queensland too. Since the new measures there are many positive impacts — on retail employment in existing business and on social and civic well being. Since 24 February 2014, over 71 new businesses have opened in just the KX proscribed area along. There is increased foot traffic. Legislation governing the “3 Strikes Rule” removes the automatic nature of a first strike for a breach by a liquor venue and reduced the types of breaches attracting a strike. (Liquor Amendment (Reviews) Bill 2017). The changes, introduced with minimal notification to the public by Minister for Racing Paul Toole and passed on 24 May 2017, give the Independent Liquor and Gaming Authority (ILGA) authority to decide if a first strike — and subsequent strikes — are applied or not. Until now a strike would remain in place for three years. The changes will now permit a venue's licensee to appeal to ILGA after six months to have a strike removed for “good behaviour”. As well, the changes will also mean a strike will be attached to a venue's licensee instead of to the venue itself — further weakening the owner’s responsibility. In Kings Cross licencees may change like toilet paper. Why should motorists incur a fixed and non-negotiable penalty that lasts for three years and pub barons be exempt? ILGA is now a mere rubber-stamp entity which approves 100% of liquor licence applications, ignoring any objection from the Department of Health, Police and communities. It is disappointing that the amendments were supported by all politicians, including the MP for Sydney Alex Greenwich, but excluding the Greens. Residents have stood by the umpire’s decision and supported the conclusions of the independent report released in September 2016 by Ian Callinan into the lockout laws. Now the government itself has betrayed the public with its white-anting of the operation of those laws. Ongoing implementation problems continue at Council level. For residents these 3 interrelated and ongoing issues are: 1. ‘precinct creep’ into surrounding high-density and residential suburbs; 2. failure to regulate On-Premises (so called “restaurants” that are really bars); and, 3. the ‘high streets’ linking LNT precincts are becoming unregulated LNT precincts — especially Crown St and Victoria St and Darlinghurst Road, Darlinghurst. There is an ongoing issue with a failure to Monitor noise impacts and compliance under the City of Sydney's so-called “trial” rewards system. 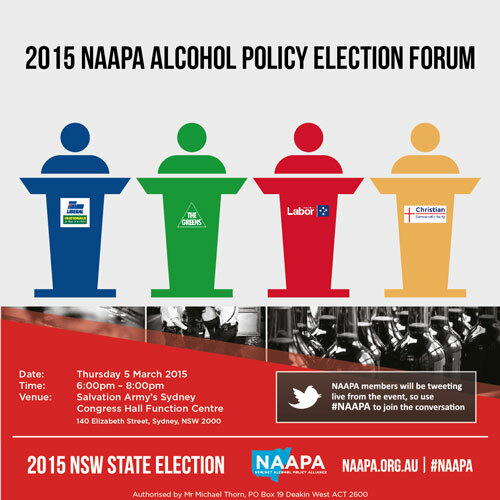 NSW Liquor Laws Review by Hon. Ian Callinan AC— submissions close 4 April 2016. The review considered the effectiveness of laws which regulate the sale of alcohol in order to reduce violence and other harms in Sydney CBD and across New South Wales (NSW). The Hon Ian Callinan AC examined measures including the 1:30am lockouts, 3am cessation of alcohol sales in licensed venues, and state-wide 10pm restriction on takeaway liquor sales. The measures have been highly successful in reducing harms, and increasing public safety and amenity. But good business operators are also benefitting: people are coming out earlier. Many new and exciting restaurants, cafes and bars based on creative and fresh approaches have opened, attracting locals and visitors alike, with a new clientele emerging. Many successful business operators in the Kings Cross openly admitted that you must cater to changing tastes and changing times. And in Kings Cross, change is the one constant. Submission from Darlinghurst Resident Action Group Submission to NSW Treasury Evaluation of Sydney CBD Plan of Management, 21 March 2016. That there is a Moratorium on all additional extended alcohol service applications including council DAs and liquor license type applications. The Premier’s modest restrictions to reduce trading hours (by 2 hours) have been so stunningly successful that it is easy to forget what it was like here in the 2 years ago before these measures. The industry funded Hysteria is obscuring the success. Residents pleaded for a halt to the explosion of late-opening pubs and licensed clubs and restaurants when Clover Moore's City of Sydney Council implemented its Late-Night Trading Development Control Plan (2007). The DCP designated 3 “entertainment precincts” — Kings Cross, CBD and Oxford Streets. There was an explosion of licenced venues in the KX Local Area Police Command — 300 venues and 19 bottle shops trading after midnight by 2013. This cumulative impact degraded public safety and amenity. The city became was a disgrace due to binge drinking, night-time violence and general bedlam, particularly at weekends. Venues bused in intoxicated patrons when other council areas closed. It was not safe to walk down the main street (Darlinghurst Rd) after midnight. After midnight the area was “body locked”. Public bus services could not access Bayswater Road and were re-routed. Each morning would begin by removing alcohol bottles and cleaning urine and excrement from the front door step. Daytime businesses closed as rents were hiked up. It took a tragedy, the murder of 18-year-old Thomas Kelly and then Daniel Christie, to shame Sydney into a proper debate about the reality of Kings Cross and the CBD. A remarkable ABC documentary Documentary DEAD DRUNK follow four groups of partygoers on a night out in Kings Cross across 12 hours on a Saturday night in April 2014. #DeadDrunk aired on 1 April 2015 put it plainly, “why on earth would anyone want to go to Kings Cross?” Binge drinking had a tragic social and health impact on young people. Internationally most CBDs restrict alcohol consumption and trading hours at 2am. The Newcastle Local Area Command saw a reduction of 30% in alcohol related assaults. (BOCSAR evaluation covered the period April 2004 to March 2009. (See: CBJ November 2009.) Figures continued to Fall to 50% reduction. Safer conditions have seen an increase of nighttime activity in Newcastle. Manly voluntary agreement to Restrict Entry to existing venues at 1.30am was a success. We have “lost” about 7 liquor outlets (two sold for re-development (Soho Pub and Goldfish Bar in the Crest) and the nightclubs Hugos, Tunnel and Bada Bing. (One was already on the market prior to February 2014; two were for compliance and RSA failure.) Liquor barns mostly employ young backpackers who are easily re-employed in small bars. The creative industries have been seen to become increasingly important to economic well-being, proponents suggesting that "human creativity is the ultimate economic resource." (Florida 2002.) These encompass a range of economic activities that are concerned with the generation or exploitation of knowledge and information. They agree that this may encompass advertising, architecture, art, crafts, design, fashion, film, music, performing arts, publishing, R&D, software, TV and radio. Some consider that the education industry is forming a part of creative industry. Others add in consultancies. Since 24 February 2014 there has been a marked increased in Creative Sector employment William Street and on Oxford Street (101-111 and 113-115 William Street, Darlinghurst) have been transformed into a mix of commercial and subsided spaces for cultural and creative enterprises. Currently there are no vacancies. Consider this upsurge of activity and vitality in Sydney with the cost to local government and the state of subsidising the multinational alcohol industry. It costs the State about 3.6 Billion on mopping up after alcohol — police, ambulance, hospital Emergency Departments, court cases, rehab, social work, lost employment from injury etc. In Kings Cross we also had the Riot Squad in attendance on weekends. Add in subsidies to transport as well as the ongoing harms of alcohol abuse (cancer, Fetal Alcohol Spectrum Disorders (FASD) and domestic violence figures). And this is a massive public subsidy. The vote at the Safety and Good Order Forum on 30 August 2012 is unanimous to adopt a trial of the FARE 10 point plan. A concentration of late night premises is diametrically opposed to residential amenity. Lock-ins are extremely successful in reducing alcohol related disorder. In Newcastle CBD streets are virtually empty after 3.30am and assaults have fallen by 30% — a fall that may be as high as a 40% reduction. It’s time for the mayor and state politicians to listen to the police, emergency service workers and residents and introduce a 12 month restrictedaccess trial. We need evidence not vested interest to prevent more tragedy. The plan will see fewer liquor approvals and a 12-month trial of a 1am “lock-in” at key venues and hot spots. Residents grieve for the preventable death of Thomas Kelly aged 18 (July 2012). We remember Wilson Duque Castillo also murdered nearby (December 2010). The small locality of Kings Cross is where 1 in 7 violent alcohol-related incidents happen in NSW. Each weekend many people are hospitalised with serious injuries. The result of deregulation is that alcohol violence is now everywhere. Sydney City Council has its head in the sand — they created the extended hours trading precincts in 2007 and continue to approve liquor development applications without working with residents to mop up the resulting noise, violence and anti-social behaviour. 1. Ban street drinking in Kings Cross and Darlinghurst. 10. Keep and publish a public register of venues, conditions and violent incidents. Fact one: Licensed premises now account for up to one third of all assaults.About half of these occur on nearby streets and pavements outside these venues. Fact two: There has been a 25 per cent rise in alcohol-related offensive behaviour from 2005 to 2009. And there were 2,208 alcohol related incidents in 2011 – according to the Bureau of Crime Statistics and Research. Fact three: In 2007, Ms Moore introduced the Late Night Trading Precincts scheme. This scheme massively expanded the number of liquor venues that could trade 24 hours in Kings Cross. Fact four: Under Ms Moore’s scheme, there are now over 33 liquor venues with 24 hour licences. Coles and Woolworths have also been allowed to establish bottle shops in the area – approved by Council. Fact five: Clover Moore’s supposed “small bars” scheme introduced in 2007 means more bars and later trading — 120 patrons is not “small” and, in a saturated area like Kings Cross and Darlinghurst, there is no difference between 1 bar with 1000 drinkers and 10 bars each with 100 drinkers. The net result stillbrings more drunks onto the streets. Fact six: There are only three liquor compliance officers enforcing the law in the entire City of Sydney and its 2000 alcohol venues. After midnight there are rarely if ever compliance officers. Fact seven: Kings Cross is the densest residential area in Australia – and more than 25,000 people come to the area after midnight on weekends. Some six thousand people per hour pass the Coke sign after midnight. Just less than a decade ago this number was just 1 or 2,000. Fact eight: Instead of compliance and monitoring, there are PR stunts: street urinals; selling greasy food after midnight and precinct ambassadors – who knock off at 11pm! Fact nine: In Kings Cross, a private security army also now takes the place of serious accountable professional policing. Private security answers to private interests: the KX Liquor Accord who supervises and funds it. Fact ten: 3 Strikes is unworkable. From 1 January 2012 over 6 months, no City venue was penalized with a strike. Even if they were given a strike, the count expires after a year. The constraint of rewinding strikes after a year means that no city venue is ever likely to be in jeopardy of earning a strike. The result: The latest BOCSAR figures (2011) show Sydney City had no change in the trend for violent incidents from 2007 to 2011. Council says it is “clerical error” when DA approvals are made within the Liquor Freeze area (Tattoo Parlour and a 120 seat bar both on Darlinghurst Rd (approved late 2011 and 2012.) Most DA approvals are made under delegated authority. Or Das are approved in adjacent side streets and laneways, such as in the former Wayside OpShoppe closing at 4pm, now approved to trade as a bar in a residential flat building to midnight. In Kings Cross, a private security army also now takes the place of serious accountable professional policing. Private security answers to private interests: the KX Liquor Accord who supervises and funds it. Private security is not obliged to report incidents to Police; they only have to list an incident on a venue incident register.